I had the opportunity to meet up with three old friends on Sunday, marking the first time we have all hung out in 35 years. My friends have done well and although they remain optimistic about the future there is legitimate reson for concern. Two of these friends work in the local steel industry. Tim works for Steel of West Virginia in Huntington and Jim works for AK Steel in Ashland. Jim has already received notice that he will be laid off soon as will most of the over 900 employees at the plant in Ashland. Jim was upbeat about his impending layoff. He has faith in his company and industry and is making plans to get caught up on work to his house but he hopes he won't get a chance to do too much work. "Obviously, I wish we were not getting laid off but I've been a steelworker for a long time and that's who I am. If something happens that it is long term I will have difficulty determining who I am. I realize that layoffs are risk in this industry and a chance you have to take for a good job. For now I am a steelworker and I have faith and hope that's who I will be for a long time." Company officials are hoping that the layoffs will not be longer than 6 months. The truth is though, the city or the company does not have much control over the situation. It is not a matter of fewer orders or lower demand but it is a major glut caused by imports being dumped on the US market by foreign countries. Foreign companies are producing more and more steel and importing those products into the United States and that is driving down prices per unit, and threatening sales margins of domestic producers. 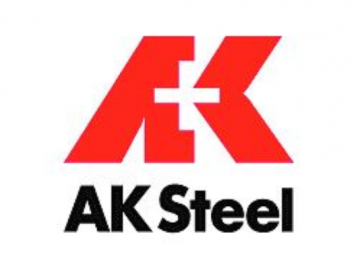 AK Steel has seen the average price of steel sold by the company drop 16 percent year-over-year. Steel of west virginia has had a good year and Tim is confident that his company is strong enough to avoid major problems but steelworkers know that the changing of materials used to make automobiles, concern for a greener environment, and a glut of steel on the market could have an eventual effect on the market. These guys love their jobs and they are very good jobs so they continue to be positive. "The idling of AK Steel’s blast furnace is likely to take a financial bite out of the city’s budget, officials say. Employees who are laid off won’t pay payroll taxes, and when the blast furnace goes down the plant will use less water, which it buys from Ashland. Exactly how much the city will lose is unknown, because it doesn’t know yet how many workers will be laid off. AK will keep some workers on the job because it is not idling its hot-dip galvanizing line. But Ashland collected close to $178,000 in payroll taxes from AK in the last calendar year, finance director Tony Grubb said. If all workers were laid off for six months, which is roughly the amount of time AK has projected for the idling, the city could lose about half that amount, he said. AK has not committed to an exact timeline for restarting the furnace. Ashland supplies water to the plant, which uses copious amounts in its manufacturing processes, and last year sold AK about $936,000 worth, Grubb said. With the furnace idled, the city will lose a substantial portion of water revenue, he said." So , we ate in peace Sunday, and enjoyed each others company. My friends are steelworkers. They are tough, that's just who they are. They are proud of their industry and companies and they will fight to be who they are - steelworkers.